I've previously posted about flashcard resources, especially for Greek and Hebrew, and Danny Zacharias at deinde has compiled the best list. I did just find another resource called FlashcardExchange which claims to be the world's largest flashcard library with over 16 million flashcards. You can study any of the sets already created and posted online (regular flipcard and also "memory" matching game), and with a free registration, you can create your own set of cards. With a one-time fee of USD $19.95, you can also print flashcards in multiple formats, export flashcards to Word or Excel, use advance study with Leitner card files, and create image or audio flashcards. Do note that the site is Unicode compliant, so full Greek and Hebrew functionality is possible. There are quite a few Greek card sets, but only one that I found for biblical Koine using Greek Vocabulary from Baugh's A New Testament Greek Primer. 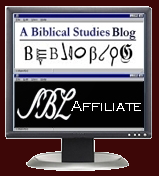 Also check the tags for Bible and Religion for addtional card sets for memorizing Scripture passages, studying the catechism, Bible, etc. another cheap way to access the flashcard exchange for iPod/iPhone users is to purchase Mental Case for the iPhone. The creators worked out an agreement that users could access the exchange for free. Came across a site which provides a platform to create and share information,wanted to share some flashcards which I have found interesting. I use online flashcards from funnelbrain. They have the most easy to use and creative flashcards that I have ever found. They are truly amazing, I have never seen such a creative educational tool as this. Check them out at http://www.funnelbrain.com to see what I am talking about. I forgot to add that I am currently using flashcards and funnelbrain for my study guide AP biology at school. I find that they are more useful than any other tool I've come across.